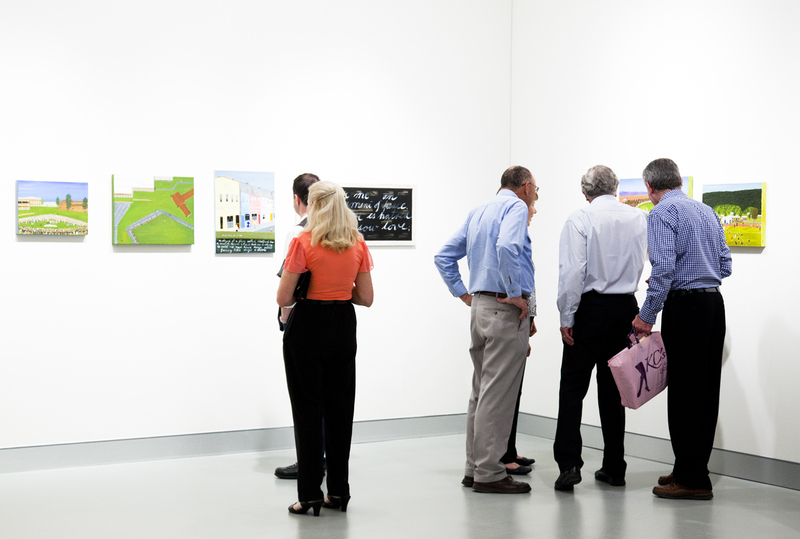 Hawkesbury Regional Gallery, Deerubbin Centre, Windsor, NSW. Frank Nowlan - Man of the Series, a Hawkesbury Regional Gallery exhibition, artist Frank Nowlan, 2011, installation view. Sythetic Spaces, Western Front, Contemporary Art from Western Sydney, 2007, various venues, Hawkesbury Regional Gallery, installation view, artist Alan Jones (foreground). 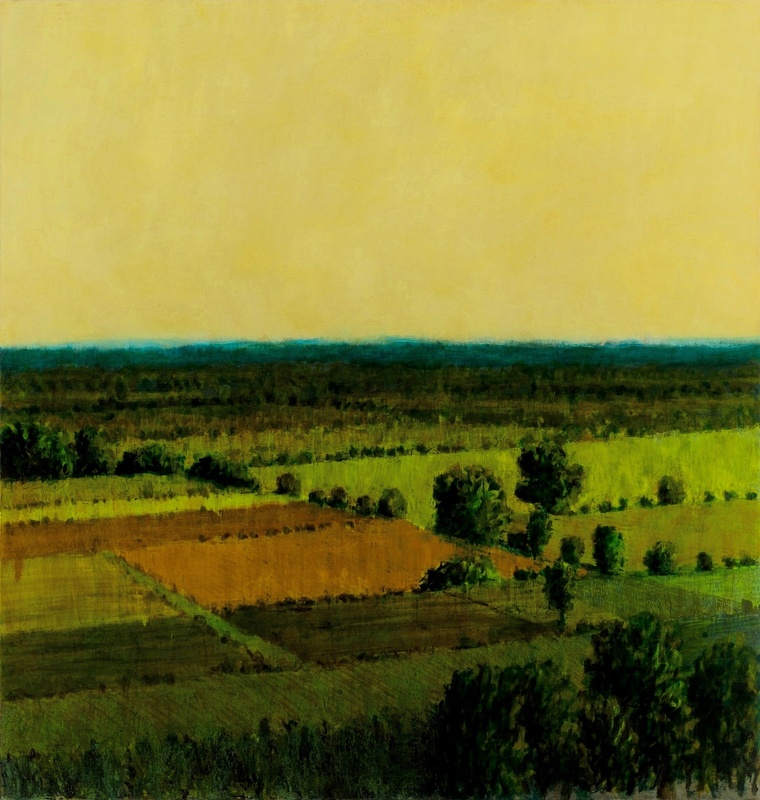 Alan Jones, Respite #2, oil on linen, 205.5 x 195.5cm, 2008, collection Hawkesbury Regional Gallery, gifted through the Australian Government's Cultural Gifts Program by the artist. Hawkesbury Regional Gallery offers a changing program of exhibitions and public programs for people of all ages. Exhibitions offer a variety of media in visual art, craft, photography and design, upholding the Hawkesbury’s artistic and creative heritage while showcasing the new and original. Curating a large proportion of our exhibitions in-house supports national and regional artists, and brings new work to audiences. The changing exhibition program covers most art forms to engage with a diversity of audiences.The program includes exhibitions that come through Australia’s extensive network of regional and public galleries. All exhibitions aim to be thought-provoking, challenging and educational. Public programs provide opportunities for those who want to deepen their understanding of art, meet the exhibiting artists in person and make the most of their gallery experience. Every exhibition features artist and curator talks, and children’s workshops, film screenings and guided tours. The Gallery has an active membership program, and an award-winning volunteer program.